As the climate continues to deteriorate, government agencies and NGOs alike try their possible best to figure out ways to turn the tables around and fight the issue. While government helps to draft policies, implement laws that help to curb it, the major strategic publications and public awareness lies on the shoulders of NGOs for proper execution of the bottom-top public awareness. 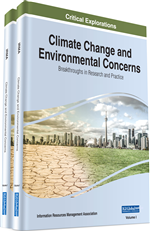 This report tends to explore, discuss and pinpoint ways NGOs can play a strategic important role in the promotion of public education and awareness of the changes in the climatic conditions of our society. Listed according to the seven (7) UNPFII’s indigenous regions is a brief overview of the climatic climate. One of the major areas to be affected by climate change in Africa is the Kalahari Desert. There are 2.5 million kilometres of dunes in southern Africa which are covered in vegetation and used for grazing. However, the rise in temperatures and the expected dune expansion along with increased wind speeds will result in the region loosing most of its vegetation cover and hence, becoming less feasible for indigenous peoples living in the region. As their traditional resource base diminishes, the traditional practices of cattle and goat farming will no longer survive. There are already areas where indigenous peoples are forced to live around government drilled bores for water and depend on government support for their survival. Food security is a major issue for indigenous peoples residing in the deserts and they are on the frontline of global climate change.